For all the twists in our stories, life finds a way. Where one sidewalk ends, another begins – freshly paved with its own set of difficulties and triumphs engraved into the asphalt. 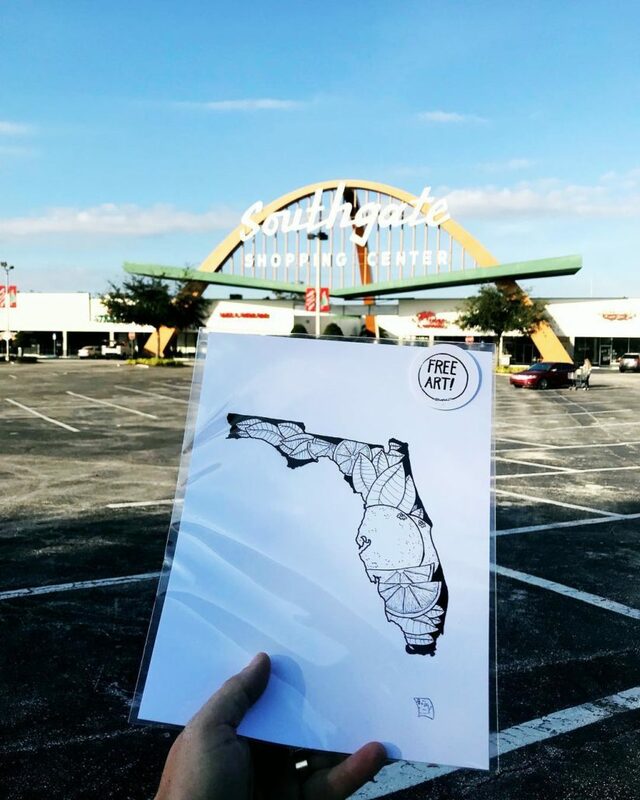 On the path to a more creative tomorrow, there’s Josh “Bump” Galletta – our April 2019 Lakeland CityMaker! A normal day for Josh starts with a pen, a pencil, and a few kids getting ready for school. At the crack of dawn, Josh is up and mobilizing his thoughts into fledgling masterpieces of creativity. Starting with a pencil, he lays the framework for whatever his imagination’s cooked up, all before running his son and daughter to school. Then, it’s off to client meetings. Except, they’re not your stereotypical client meetings. Whether they be over coffee or another local delicacy, Josh greets his clients as warmly as he would a friend. To keep everything on track among the hustle and bustle of being a working creative, Josh collaborates with a business coach to strategize and plan his next moves while his thoughts reside with whatever project’s currently at hand. Rounding out his days, Josh spends time with his family before fully engrossing himself in his work. 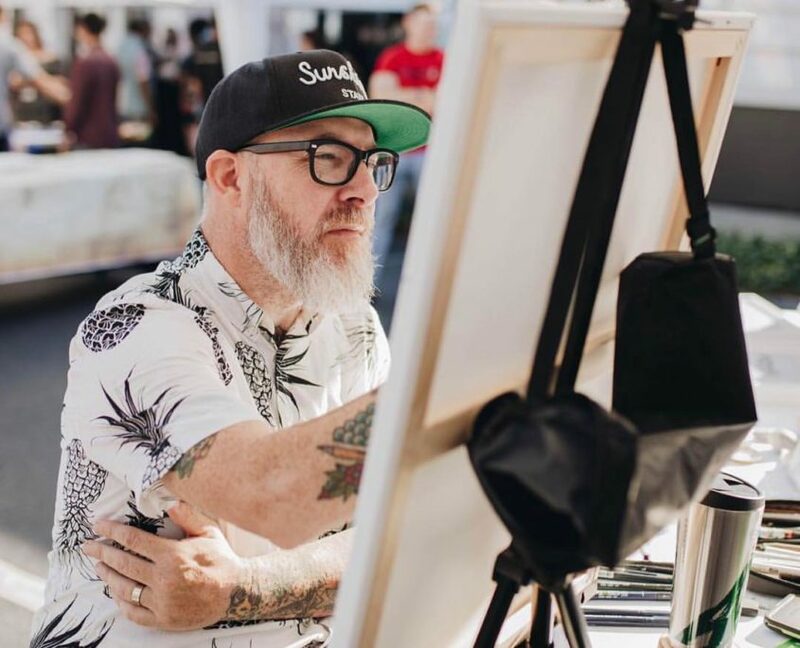 Be they commissions or other client-based jobs, his work serves as much more than just a paycheck – with each stroke of the pen, he’s reclaiming his life from the pitfalls of PTSD. In an effort to get active, Josh took up cycling around nine years ago. What started as just a mile or two every day quickly grew. In no time, Josh was biking nearly 30 miles every day. On a trip to Jacksonville for his sister-in-law’s graduation from nursing school, Josh heard of a biking trail that had only just opened nearby. Taking full advantage of the opportunity, he decided to embark on a quick ride before heading back home with his family. At an intersection near a school, with the right-of-way in his favor, the unthinkable happened. A teacher racing to beat Josh to the intersection struck him with her vehicle before running him over and then running him over again as she backed up. He survived, but the damage had been done. Although Josh’s injuries would heal, albeit not completely, his mental state took a turn. His friends and family noticed that he seemed a bit different than before his accident. Previously, Josh thought that this was something that only military personnel could experience, yet his counselor explained that any major traumatic event could trigger such a response. Affecting everything from both mental and physical health, PTSD manifests itself in nearly every nook and cranny of everyday life. Those suffering from this psychiatric disorder can experience severe anxiety, flashbacks, and nightmares regarding the trauma they’ve experienced. In an effort to help Josh deal with his PTSD, his counselor offered him a simple suggestion that would guide him to where he is now. “She gave me a very open exercise saying to find something that you love, put everything you have into it, and find a way to release it,” Josh said. Making a living from art is easier said than done, and that was especially the case just a few years back. With no local structure in place for creatives to pool their resources together, many were left to just “figure it out” on their own. 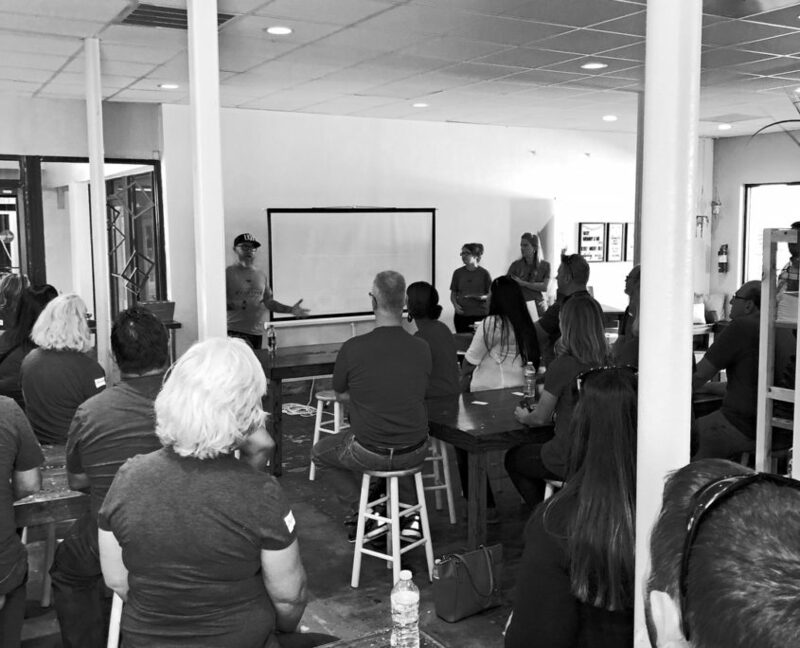 “When I first started to do my side hustle, I tried to reach out to people here in Lakeland, and at the time when I was reaching out for advice, or tips, or help, everyone was kind of like, close to chest with the people they use or how they do things,” Josh shared. An open person by nature, Josh wasn’t a fan of such a system. 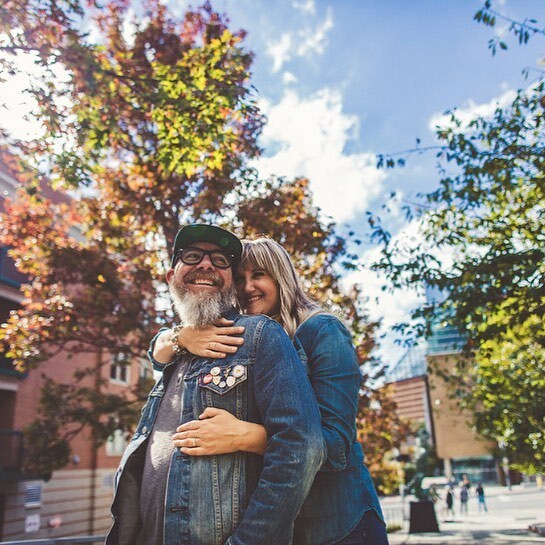 He attended a Creative Works Conference in Memphis where he saw just how nurturing of an environment there could be for creatives supporting other creatives. Here, industry-leading professionals from companies like Facebook and Google would host talks and mingle with conference attendees, answering whatever questions they may have with a genuineness that Josh had only dreamed of. With such an idea of what Lakeland could be, Josh took matters into his own hands. 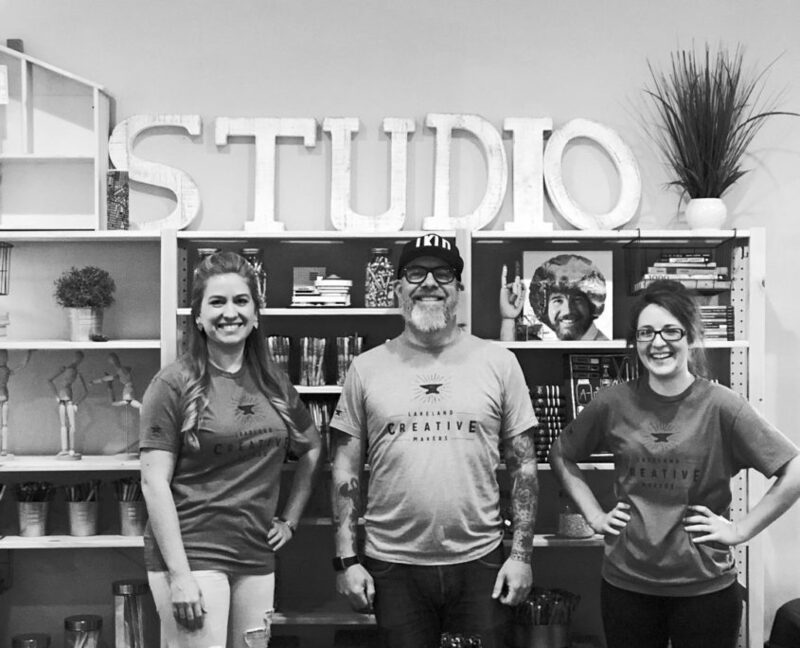 Together with Becky Yohe of Art Centric Studios and Sunny Lynne of iNK Screen Printing, Lakeland Creative Makers was founded. The group draws between 50 and 100 people to each of its monthly meetings, held on the first Monday of each month. Each meeting typically consists of a TED-style talk, hosted by creatives from an assortment of backgrounds. Along with the group dialogue comes something deeper. Members don’t just share their tips for success – they share their entire story, covering how they got from point A to point B and all the trials and tribulations they faced on the way. “We have our hills and our valleys and we want to share that, but we also want to end it with positive encouragement,” Josh shared. Lakeland Creative Makers continues to thrive to this day, having celebrated its 2-year anniversary just a few months back. Their next meeting is scheduled to have the mayor as their guest, an ode to the creativity that Lakeland’s been fostering for years. Today, Josh hasn’t fully come to terms with how his life has turned out. Inspired by faith, he goes out of his way to pay his talents forward however he can. He’s done work benefitting local churches and charities, such as Gospel Inc and Parker Street Ministries, all free of charge. It’s his way of saying thanks to the community that’s supported him with open arms and a full heart. Throughout all of life’s struggles, the steadfast support of our community remains as constant as ever. For Josh, that’s taken on a number of forms, but one stands out in particular. In 2015, Dixieland Mall held a competition to design a statue that embodied the “entrepreneurial spirit”. The winner’s statue would ultimately be displayed outside the mall, giving passersby a chance to marvel at Lakeland’s creative talent and enthusiasm for entrepreneurial endeavors. Josh’s great-grandfather, an Italian immigrant, worked with steel and traveled to the US with his anvil in tow. 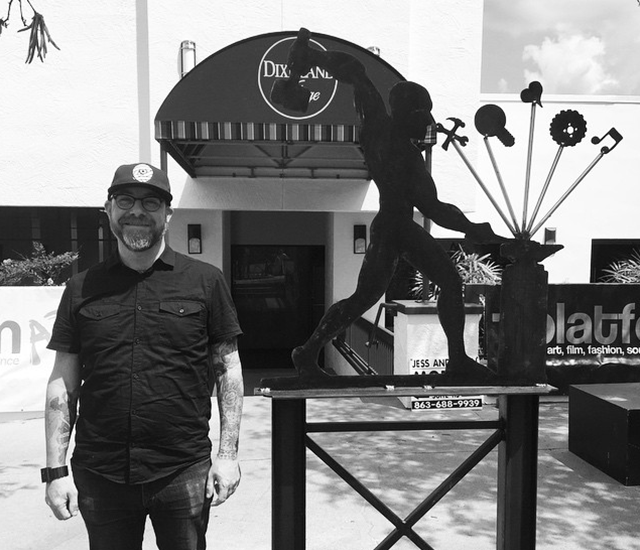 Inspired by his great-grandfather’s story and its significance to his family’s heritage, Josh modeled his statue after the anvil and its worker, with sparks flying off the anvil symbolizing the opportunities available for visionary entrepreneurs looking to earn their livelihood. Josh’s design won, but one issue remained – Josh was a designer, not a sculptor. Unbeknownst to him, the contest wasn’t just a design contest, rather, a contest for the creation of the sculpture itself. That’s where local artist Tom Monaco heeded the call and stepped up to help deliver an amazing end product. As a working creative, Josh’s plans for the future are anything but set in stone. He never waivers in his appreciation for all that our town has afforded him. In his efforts to inspire others, his friends, and his family, Josh crafts piece after piece with a diligence all his own, soothing the seas of his mind with the beauty and creativity of his soul. 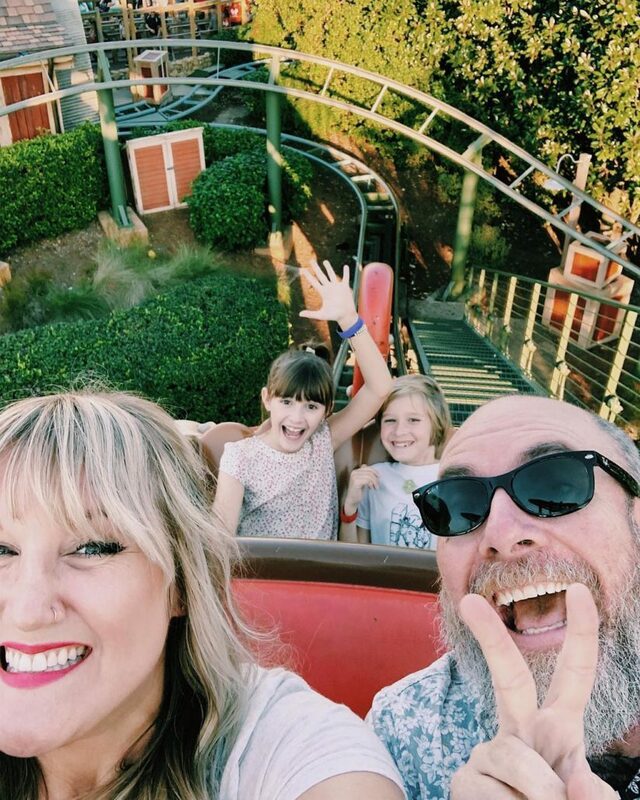 For the everyday amazement that our town affords Josh and his family, there’s just nothing quite like it. Lucky for us, there’s no one quite like him either. To the anvil-workers of tomorrow, trudging their paths and leaving their marks on our community, Josh has but one request. If you’d like to support Josh, you can listen to his podcast the Low Down or buy his art (soon) at West Elm!